Why an Australian yacht charter? Imagine this: a highly developed continent unfurling nearly 3 million square miles, painted with ever-changing, unique diversity of its landscapes—expansive deserts, tropical rainforests, jutting mountain peaks, thriving metropolises, and plenty of beach to support its millions of proud citizens. Australia, despite boasting the 13-largest economy in the world, still remains an enigma, a country, continent, and culture that cannot be tackled in a mere day—no, a visit to Australia should be done in style and deliberation, and your private luxury yacht charter is the very vessel to do so. Australia is the sixth-largest country by land area alone, and before you set sail to this massive country-continent, you’ll want to do a bit of research to ensure you’re seeing all the spots on your list throughout your private luxury charter. Get to know this vast country. There are six states: New South Wales (NSW), Queensland (QLD), South Australia (SA), Tasmania (TAS), and Western Australia (WA). Knowing how Australia is divided as these differing states will help you gather your whereabouts as you navigate Down Under. 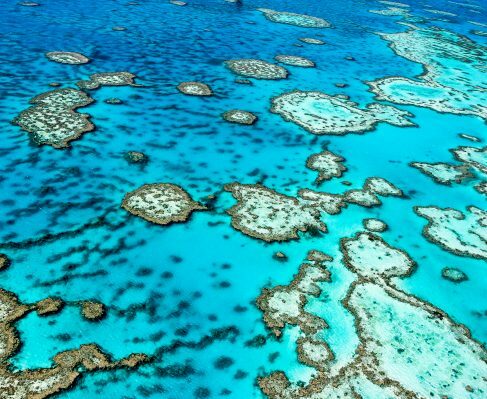 For many travelers, the Great Barrier Reef is number one on their must-see list, and understandably so, it’s the world’s largest reef system that can be seen from outer space. 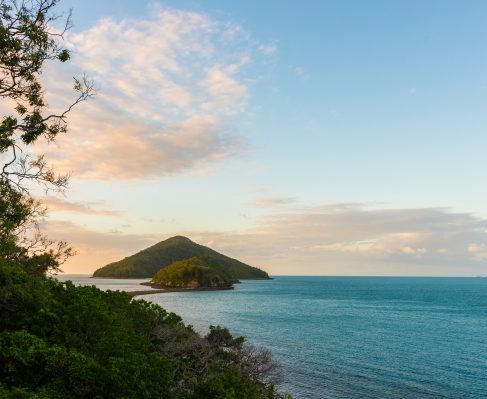 You’ll find this expansive breath of reef off of Queensland’s coast, and there are plenty of ways to see it: a reef pontoon, a stay on Great Barrier Reef Island, off of Cairns, a helmet dive, a spin in a sea plane, or even a cruise in a semi-submersible sub or glass-bottomed boat. What’s even better than getting up close to the world’s most famous widespread reef is that by doing so, you’re helping contribute to the driving force protecting it: tourism. Marsupials and Australia go hand-in-hand—or rather, paw-in-hand. More than 140 species roam this extraordinary continent, from kangaroos, to wallabies, to the koalas and wombats in between. The populations of kangaroos that roam Australia far outnumber their human co-habitants, but don’t let that scare you. These creatures bound across roads, happily enjoying the fruits of the wild, graciously allowing bystanders to catch a glimpse of their marsupial majesty. While most of these animals can be spotted in the wild, you can stop by a sanctuary or national park for a more protected, safer look, and it’s very much worth it. Australia adores its creatures, and as a tourist, you should do the courtesy of exploring the animals that give such a diverse land its character, heart, and personality. Stop by Lone Pine Koala Sanctuary in Queensland, Victoria’s Phillip Island, Yanchep National Park in Western Australia, or Kosciuszko National Park in New South Wales. As Sydney vies for your attention, Melbourne does, too, and the cultural significance of both cities was so overwhelming for Australia, the nation had to compromise and select Canberra—a land that lies between the two impressive metropolises. These two rivaling cities should have equal dues on your holiday, as they deserve it. Immerse yourself as you travel within their clean streets, acquainting yourself with Australia’s long, rugged histories inside their museums, zoos, parks, restaurants, and the cornucopia of culture both Melbourne and Sydney provide you. 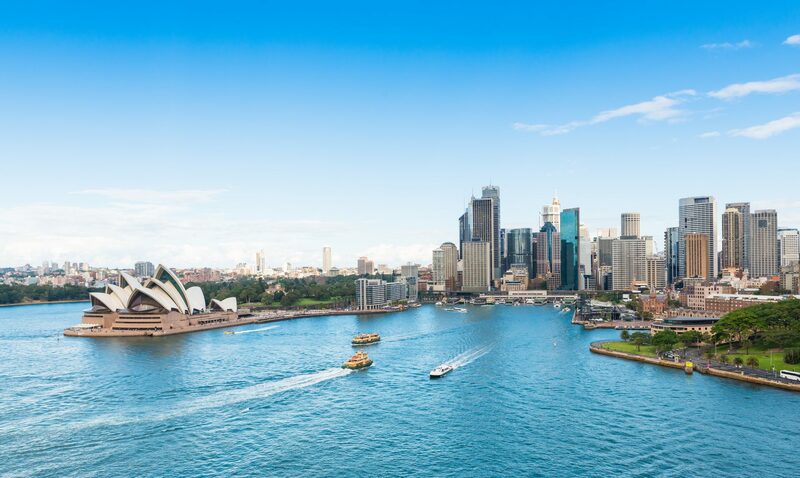 Sydney calls to you on your luxury yacht charter—it’s the state capital of New South Wales, internationally famed, its structures and attractions recognized worldwide, and the most populated. You’ll want to linger in this city. The city is an endless exploration in arts, architectural styles, culinary delights, cultural exploits, animals, and national parks. 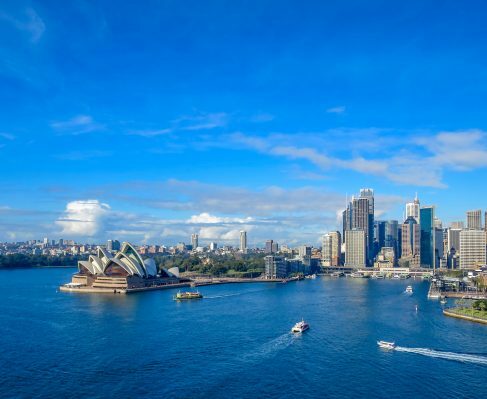 Sydney welcomes its international tourists—wander with wide eyes as you visit the iconic Sydney Opera House, Sydney Harbour Bridge, the Royal Botanic Garden and National Park, its plethora of museums, zoos, and aquariums, Watsons Bay, and The Rocks. Like the transforming terrain, you’ll quickly notice that the cityscapes are prone to vast changes, too. Where Sydney has its sights, Melbourne has its fun. Australians take immense pride in Melbourne’s key places: Melbourne Cricket Ground, the National Gallery of Victoria, the World Heritage Royal Exhibition Building, and its Sea Life Melbourne Aquarium. Visit the abstract architecture of Federation Square, stand in reverence of Melbourne’s stoically proud Shrine of Remembrance, and take the train with the locals from Flinders Street station at the heart of the city. Australia will tempt you to return again if you haven’t seen the Uluru-Kata Tjuta National Park in the Northern Territory, where the sandstone formation Ulura towers in the crimson sun, and is home to the impressive Kata Tjuta, domed rocks that jut from the earth like a sleeping woman. The park is where Australia’s natural icons exist, and most importantly, acknowledges the unequivocal importance of the Indigenous Australians—the Aboriginal and Torres Strait Islander peoples. The Indigenous culture is as necessary for a satisfyingly full trip to Australia as a visit to competing capitals, Sydney and Melbourne. Their art, languages, literature, and music are unparalleled, created from bound system of beliefs, storied pasts, and a tribal culture long fought for. Whale watch on Hervey Bay, behold the rocky formations of the Blue Mountains in the foothills of Jamison Valley, wander the eucalyptus woodlands and mangrove forests of Fraser Island, a natural enigma, stroll along sandy and bright Rainbow Beach, or take a chartered flight above the reefs for an unforgettably breathtaking view of the sparkling, reef-dotted ocean below. Australia’s valleys are vastly different from one another and draw visitors to each of its markedly unique territories, but for wine connoisseurs, Yarra Valley’s lush swath of greenery allows them to enjoy the perfect glass of sparkling wine or Pinot noir. There’s more; the sentiment is what pounds the hearts of Australians, and for you, it will be the embodiment of an eternal chase. There’s more cityscapes to set foot on, there’s more national parks with shifting landscapes, changing fauna, and there’s more beaches with friendly locals, inviting you into their world down under. With Australia, there’s always more, and you’ll easily find yourself returning on another charter holiday to the great outback, the diversely wild and unexpected Australia.